A very classy and professional endorsement. Nice endorsement on a real Excellent Product by a real professional Master Engraver. 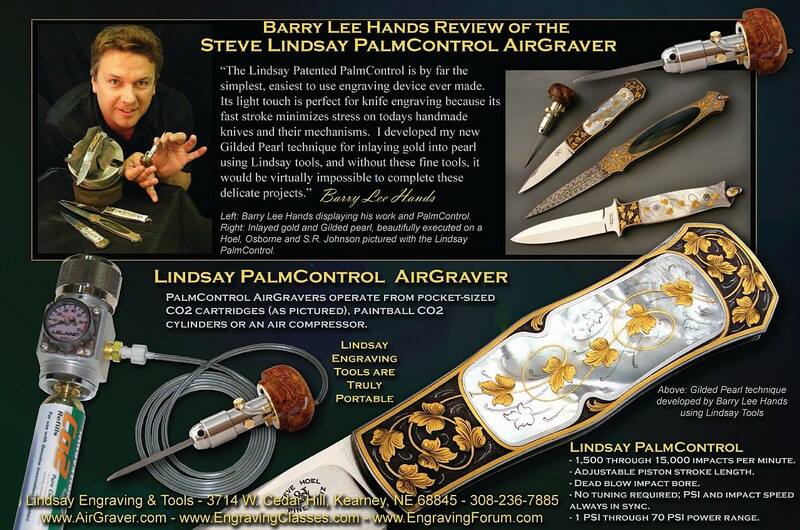 Steve for me the Palm Control has made my life so much easier and I'm the go to guy on the east if anyone would like to try any of Lindsay's engraving tools class's also available,keep up the good Steve. J.J.